A Padiham drug addict abandoned her cat and left it for days in her messy home, which was strewn with empty beer and cider cans, a court heard. Burnley magistrates were told how police seized the frightened and nervous animal after RSPCA inspectors had made repeated attempts to find Faye Hindle. It had no food or water. Hindle later asked for the female tortoiseshell and white cat back but did not show up after an official from the charity had arranged to meet her. The mother-of-one also failed to turn up at court and was convicted in her absence last October of failing to take all steps that were reasonable to ensure the needs of the animal were met, between March 16th and 20th 2015. The defendant, who is said to suffer from rheumatoid arthritis and is on benefits, finally attended court and was disqualified from keeping any animal for two years. She was deprived of ownership of the cat. 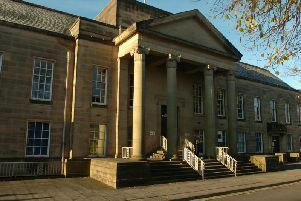 Hindle, who has since moved to Accrington, was given a two-year conditional discharge and told to pay £120 costs and a £15 victim surcharge. Mr Christopher Wyatt (prosecuting for the RSPCA) said a call was received from a member of the public on March 16th, concerned the cat was inside the house in Alma Street. No lights had been switched on or off at night and the curtains were always closed. An inspector went to the property but got no reply. The house had a “To Let” sign outside and mail addressed to Hindle was sticking out of the letter box. She pushed it through and sealed the property. The prosecutor said inspectors went back the next three days and tried to ring Hindle. The seals were still in place, the cat was more vocal and food was posted through the letter box. On March 20th the seals were still intact and the letting agent let the inspector and a police officer in. He said the house was messy, littered with empty beer and cider cans. “Surprisingly, Hindle phoned the RSPCA national call centre on June 1st, asking if she could get the cat back. “An inspector phoned her several times, got no reply, eventually managed to speak to her on July 4th and arranged to meet her on July 8th. The officer went to see Hindle, knocked repeatedly and called through the letter box, but got no answer. She phoned the defendant, who said she would be 10 or 15 minutes, but still had not turned up after half-an-hour and did not reply when the inspector rang again. A final attempt to contact her on July 22nd was unsuccessful. Mr Scott Parker (defending) said she had been living at the house, albeit not all the time. There was some dry cat food in the property. The defendant had been drug-free for five years, until 12 months ago, when she met a man who got her into using drugs and she became very reckless. She had been a victim of domestic violence. She had no previous convictions.